INVESTORS AND CONTRACTORS TAKE NOTE. FANTASTIC UPSIDE POTENTIAL! 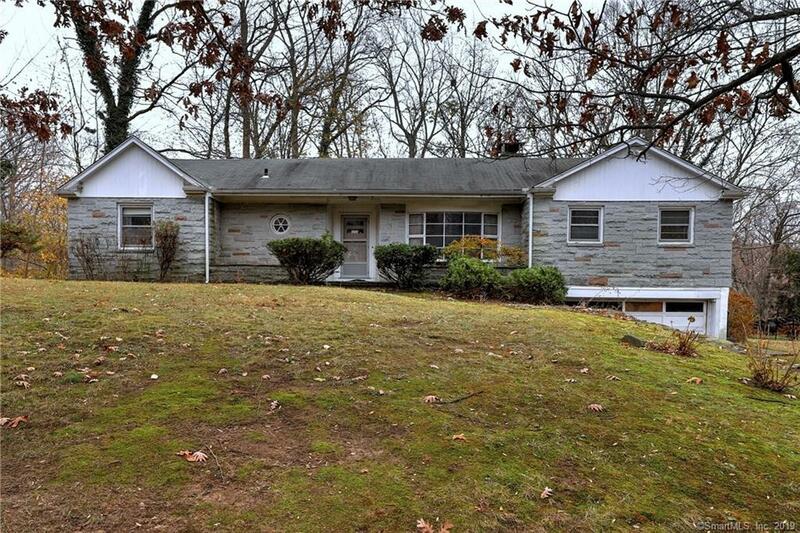 Stately ranch with granite front and gracious layout in sought-after Milford neighborhood of higher priced homes. Hardwood floors throughout, 3 fireplaces, large eat-in-kitchen ready for your renovation. Full walkout lower level with fireplace, built-ins, separate office/library, separate laundry room and plumbed 2nd half bath. May require renovation financing. Will not meet FHA/CHFA requirements. Some structural repairs required. PREAPPROVED BUYERS ONLY PLEASE., Past boiler failure caused pipe burst which is why the kitchen and basement flooring were gutted. Piping has been fixed.